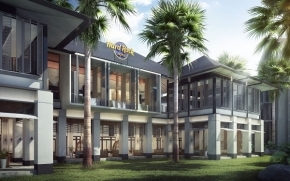 Step out of the cosmopolitan hustle and bustle for a quick breath of nature with today's Groupon to Desaru. 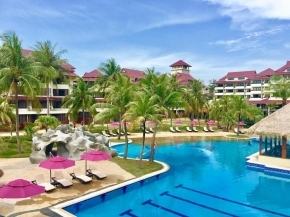 For $98 per pax, you get a 2D1N Lotus Beach Resort Stay with Breakfast, 2 Way Ferry and Complimentary use of Water Theme Park (worth $188). 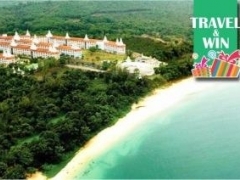 For $148 per pax, you get a 3D2N Lotus Beach Resort StayÂ with Breakfast, 2 Way Ferry and Complimentary use of Water Theme Park (worth $282). 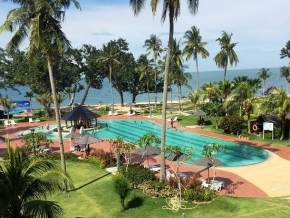 Encircled by lush tropical forests, Lotus Desaru Beach Resort welcomes families into aquatic escapades as water theme parks and breaking sea waves temporarily set aside urban worries and jungles. When not relaxing weary bodies in outdoor pools, vacationers treat physiques to spas and other hotel facilities available to all guests. The long stretches of Desaru's white sand gather on feet and hair, as city dwellers seeking short getaways flock toward the seaside town. 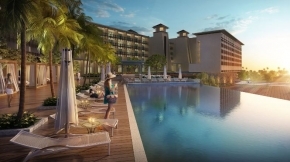 Float down lazy river centrepieces within cooling water parks, while other adventure seekers partake in sports like paintball, jungle trekking, and various seafront activities. Darkening skies brings about silent reverence, surrounding travellers amongst mangrove trees and blinking fireflies before worn bodies retire to the resorts. Go on a fruit farm tour in which holidayers can indulge their senses of sight, smell and taste with a comprehensive arrary of fruits and colours. Take your time to whiff in aromatic fruity senses and even bring a few back to savour these fresh fruit delights with friends and family.